It is hard to name a child, one of the hardest things two parents will do. They must agree on what the name will be and hope that it will suit their little girl once she makes her big arrival. There is a lot to consider when picking out a name, and it is serious business. Parents must consider possible nicknames, name meanings and how long they want the name to be. 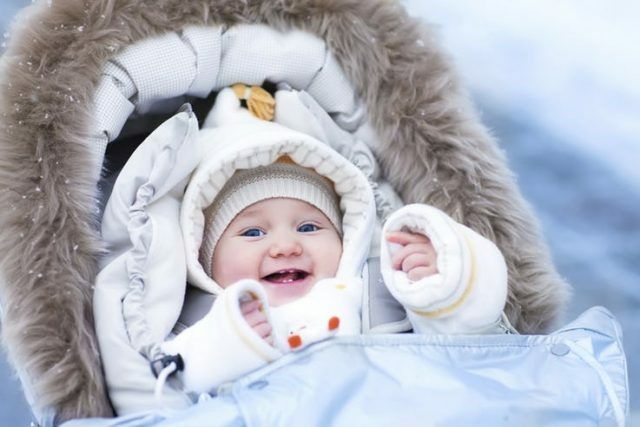 A new trend in baby names is picking short names. Names with one or two syllables is what parents are aiming for. The shorter the name the better. It makes the name easy to spell and pronounce, so there is no confusion at school or when speaking to other parents. We have found 20 of these names, and the wonderful thing about these names is that they are all considered traditional yet very elegant names. Names that will never go out of style, and that no one will ever get tired of hearing. Alice is a name that you can never go wrong with, it will always be considered a classic and it will always have that sweet charm to it. The name Alice is of German origin and it means “noble.” A wonderful meaning for a growing girl. According to Nameberry.com, the name ranked in at #70 in 2017. So, while it is not anywhere near the top 10 it is still common. The name also dropped 11% this week alone so it is becoming more and more unique. There was a long time when the name Isabella was the most popular choice for little girls, and then parents dropped the front half and went with the name Bella. Now, we are seeing more and more little girls named Ella. The name is of German and English origin and it means “all, completely; fairy maiden.”In 2017, the name ranked in at #16 meaning it is more popular now than people even realize. The name is short, easy to say and spell and is perfect for any little girl. A lot of names that are short, simple and sweet also belong to the names of flowers. 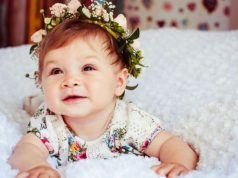 Flowers and beautiful, delicate and they always bring a smile to someone’s face, so they are the perfect inspiration for a name for your baby girl. Along with being the name of a flower, the name is also Greek in origin and it means “rainbow.” In 2017, the name ranked in at #149, so while it is still well-loved, it did not break the top 100. Eve is another three-letter name that is very popular among parents. It has charm with an exotic sound to it. The name is of Hebrew origin and it means “life.” In 2017, the name was ranked in at #436 but it is slowly rising every week. Eve is also a biblical name, and it actually holds the title of the oldest name in possibly the world. Being the name of the first woman on earth. It is also a name that shows parents don’t need to get too creative to find a sweet and rare name. Many may have assumed that the name Mary would be on this list, as it is short and a classic. However, there are a lot of people who believe that name to be a little to old-fashioned. Mara is a great alternative that is short, unique and hip=sounding. The name is of Hebrew origin and it means “bitter.” If parents can get past the not-so-positive meaning it may be a great choice. In 2017, the name ranked in at #670 so it is not that common at all. It is also listed as just a month name. In 2017, the name had no ranking at all, but it did rise 1% this week. It won’t be long before we see this name on the charts. Rose is another short name that pays homage to one of the most beautiful and romantic flowers in the garden. It is Latin in origin and it means “rose, a flower.” Pretty straight forward. In 2017, the name ranked in at #141 so it is not as popular as it once was, which may be perfect. The name actually was at it’s highest in terms of popularity through the years 1896 to 1921 where it consistently sat in the top 20’s. In 2017, the name came in at #985 which may make this the most unique name on our list, which may come as a shock to a lot of people. Some may remember the one well-known celebrity Tara Reid who shared this name. Move over Uma Thurman, there are bound to be a lot more Uma’s on the way. Uma is a short name that sounds extremely exotic and rare. The name Uma is Sanskrit in origin and it means “nation.” It has no ranking as of right now, meaning your little girl will be the only one in the classroom. Uma is also the name of a Hindu goddess, so there is a lot of historical significance there as well. Just don’t mistake it with the Irish name, Una. Vera may sound like a name that only a grandmother would have, but it is making its way back into the world as a name for adorable little girls. The name Vera is of Russian in origin and it means “faith.” In 2017, the name ranked in at #278 making it much more common than people may realize. The name was at its peak in popularity in the year 1910, which is why a lot of people may feel this name is a little too old-fashioned. In 2017, the name was ranked in at #683, so it is not as popular as some may believe it to be. If you are looking for a name that is a hit but is not too common than this is the name for you. In 2017, the name was ranked in at #32 so it is still enjoying its time near the top of the list. The name also has roots in the Bible, so it is perfect for those parents looking for a more Biblical name. Sometimes we name our children after the feelings they give us, and the feelings we hope they will give those around them, so the name Joy may be perfect for you. The name has no place of origin and no meaning, because it is simply considered a word name. In 2017, the name ranked in at #336 so it is not as common as some may think. The highest point this name every saw was in 1974 when it was sitting at #109 on the popularity list. In 2017, the name ranked in at #174 so it is definitely not a name you will hear every day, but it is slowly rising on the list so now is the time to grab it. Anne is a name that most people may think is bland, but that means the name is timeless and it never goes out of style. It is one of the more uncommon names on our list, only ranking in at #575 in 2017. It also dropped 19% this week alone. The name is of French, English and Hebrew origin and it means “grace.” So, it would seem that the name is pretty worldly. It also pays homage to Anne of Green Gables for any parent out there who loves classic literature. Names that consist of only three letters are becoming more and more popular as the days go by, and Ava is at the top of the list. The name Ava ranked in at #3 in 2017, making it one of the most popular choices for little girls. The name is of Latin origin and it means “life.” Something our little girls will be full of. The name is also considered a variation of the name Eve and is related to birds. Claire is a name that is short, sweet and has an air of delicateness that makes it a perfect choice for a little girl. The name Claire is of French origin and it means “bright, clear.” It is actually the French form of the name Clara. In 2017, the name ranked in at #49 so more and more parents are loving this name for their little princess. Another great thing about the name Claire, is that it has a vintage feel about it without sounding too stuffy. Kate is a name that is a classic, traditional and well-loved name. It became even more popular when the world met and fell in love with Kate Middleton, who married Prince William and became a princess! The name is of course the short form of the name Katherine, but it is earning a spot of its very own. The name is of English origin and it means “pure.” In 2017, the name ranked in at #275 and it is slowly declining as the weeks go by. If mom or dad grew up in the 90’s, this name may have a special place in their heart. It was the name of one of the main characters in the popular show, Saved By The Bell. An interesting fact about this name is that it is actually considered a unisex name, though it is used much more for little girls. The name is of Irish origin and it means “war.” Now, we may never want our children to actually go to war, we still want them to have some fight in them. In 2017, the name ranked in at #595 so some of the 90’s charm may have died down. Lisa is another name that can be found on Saved By The Bell, but also on The Simpsons, another popular show that is loved by people around the world. It is also another name that is considered OK to be used for either a girl or a boy. If we break the name Lisa down, we will learn that the name is an English variation of Liza which is a diminutive of the name Elizabeth. It means “pledged to God.” In 2017, the name ranked in at #884, so it is definitely not as common as it once was.